We have selected the finest of bright summer blossoms to make this bouquet extra special. Hand tied with peach roses, bright germinis, carnations and chrysanthemums, it is guaranteed to brighten anyone's day. 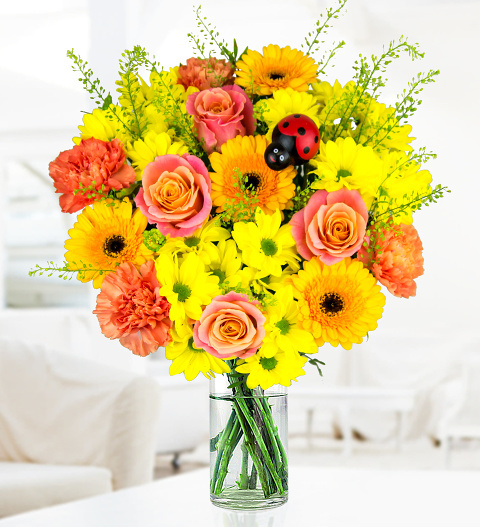 To complete the Summer theme the bouquet is complimented with a lady bird to send your very best of wishes. Whether for a birthday, anniversary or just to say a big thank you, send the Summer Charm. Chocolates may contain nuts.